The defeat to arch-rivals Norwich City was to be expected but what came as a pleasant surprise was to have a good referee at long last! 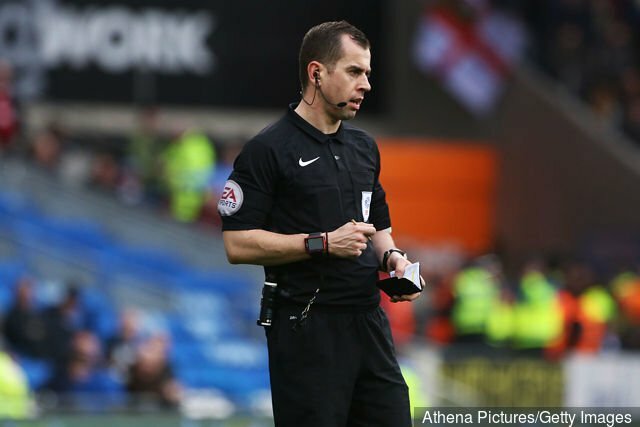 I think I can count on one hand the amount of half-decent officials we have had this season, and hats off to Merseysider Peter Bankes for his outstanding officiating! Now strangely he is not well loved by Leeds United fans and certainly, he does tend to produce a lot of cards, which has amounted so far this season to 128 yellows and six reds! That said, I can only judge him on his performance yesterday, in the face of some fierce rivalry, where so many players and staff completely lost their heads. Manager Paul Lambert is obviously feeling the pressure himself these days and in an environment where he is loathed where once he was loved, it was perhaps inevitable that he too would eventually lose his cool. Bankes officiating yesterday deserves applause because he got so many of those 50/50 decisions right and I think all the yellow cards he showed were justified. We may well be collectively disappointed with the result and our lack of a serious goal threat but at least this time, our frustrations were not directed towards the officials, who all did a splendid job throughout. The news that Freddie Sears is likely to be out of action for nine months to a year is another blow to any lingering hopes any of us have of Championship survival. The fact that he is out top goalscorer on six tells us everything we need to know about our lack of firepower up front and his injury was brought about because he overran the ball. I have watched Freddie do this on a number of occasions and what normally occurs is that he pushes the ball too far ahead of himself and then loses possession. It was his desperate attempt to avoid this scenario that led to this collision. Oh well, I guess as the season winds down, Paul Lambert can take a look at some other young strikers and one of them signed his first professional contract today. Kai Brown is getting rave reviews playing for Town’s under 23 team, and the 17-year-old penned a two-and-a-half-year deal at Portman Road, keeping him with Blues until the summer of 2021. He was acquired from Grays Athletic last season and has excelled this term.